At the beginning of the year my grade teaching partner and I decided to establish the rules and routines, but we did not set up a behavior chart like all of the grades above us, because we felt we would be punishing our kindies for… well, being kindies! Now, the year is more than halfway done and my students have a solid understanding of our expectations, rules, and routines. 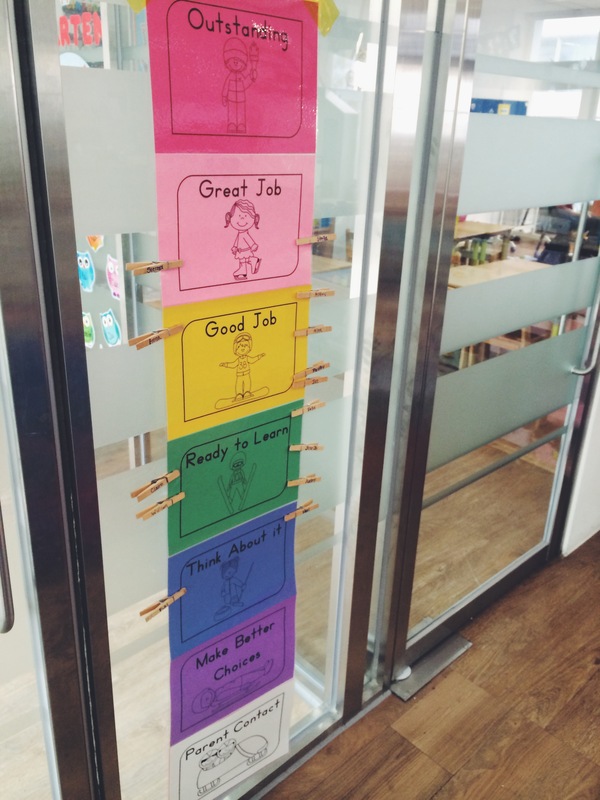 Because of that, we felt comfortable putting up a behavior chart in each of our classrooms. My teaching partner decided to go with an Olympic theme one because we started it at the beginning of the Olympics and who doesn’t love, THE OLYMPICS (how many times can I say Olympics in one sentence). There were two more after “Make Better Choices” and before “Parent Contact” but we took them out because we needed to make sure all of our students could reach the top of the chart to put their name (on the clip) up by themselves. At the end of the day if a student is at “Outstanding” we give them one of our school “Bear Paws” which is a piece of paper showing their parents that they were following our school rules, the students LOVE THESE. (Our mascot is a bear). I have noticed that this behavior chart works REALLY well. 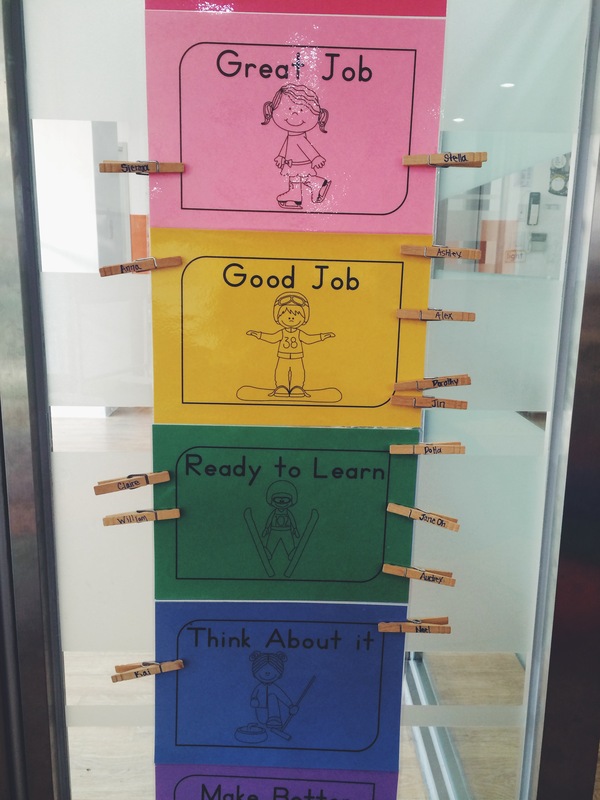 The behavior chart is from the amazing and incredible TeachersPayTeachers and comes with the option of printing it out on colored paper or printing colored versions of the pictures on white paper. After the day is over we e-mail parents when their child made it to “Outstanding” (parents LOVE it when you compliment their children!) and if they got down to “Parent Contact.” Once we implemented this the parent response has been extremely supportive. Also, when the student comes back the next day they move their name back to green, “Ready to Learn” and start the day fresh. It’s a good reminder if they didn’t do so well the day before to do better, or if they did do well to keep up the good work! What are some classroom management systems you set up in your classroom?